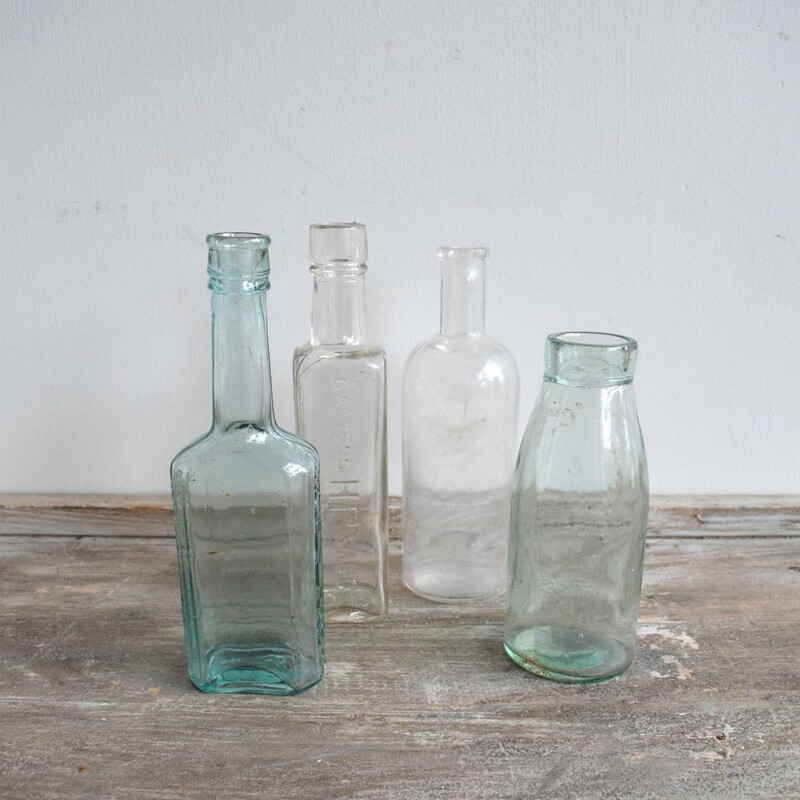 There is a variety of vintage bottles available in different shapes, sizes and colour. Dimensions range from 3cm to 8cm to in height and there are 18 smaller bottles and 6 larger. Please enquire for further details.